In this simplified USB Ultimate Boot CD walkthrough tutorial, we will demonstrate How To create a USB bootable Ultimate Boot CD (UBCD) Flash Drive using a Windows host PC and our third party Universal USB Installer to create the UBCD Flash Drive. Ultimate Boot CD is an awesome PC diagnostics tool that condenses over 100 useful PC diagnostics and hardware troubleshooting tools into a single easy to use interface. 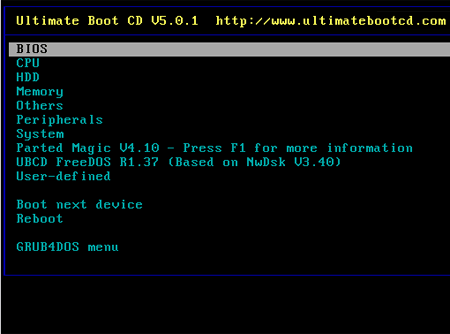 You should now be booting Ultimate Boot CD from your USB stick!